A visit by Mthwakazi Republic Party leaders to the Gukurahundi mass graves in Bhalagwe revealed some shocking developments. The delegation which was accompanied by victims and international journalists was shocked to discover that the inscriptions on the graves that reads "Mass Graves" have been erased by plastering on them. The concealing plaster is still new, indicating that this horrible act was done recently. 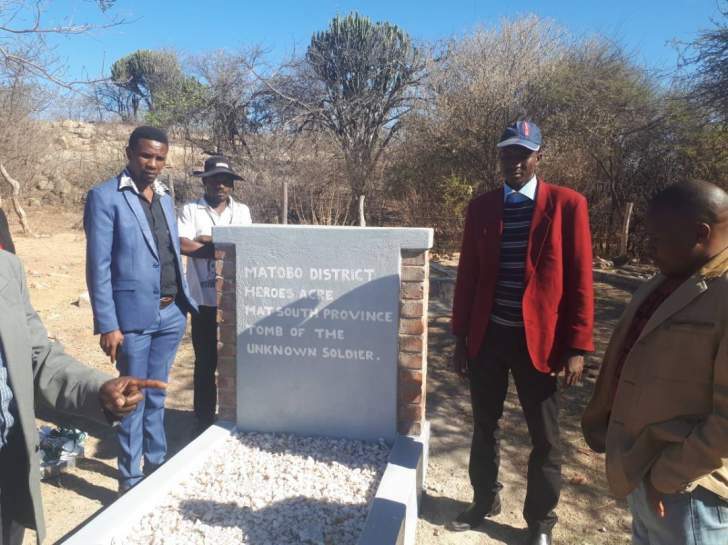 The delegation which comprised of President Mqondisi Moyo, National Chairman Mqondisi Ndebeles, Foreign Affairs Secretary Njabulo Ngwenya, Khethani Nxebalendoda Ndlovu, Partone Xaba, Elder man Albert Khabo, Marshall Sibanda and party security department found an erected comemoratry structure inscribed "Tomb of the unknown solder". The victims of Gukurahundi were evidently pained with this blatant act of tempering with the evidence of the Genocide. Bhalagwe is not a Heroes shrine, it is a Genocide victims site. 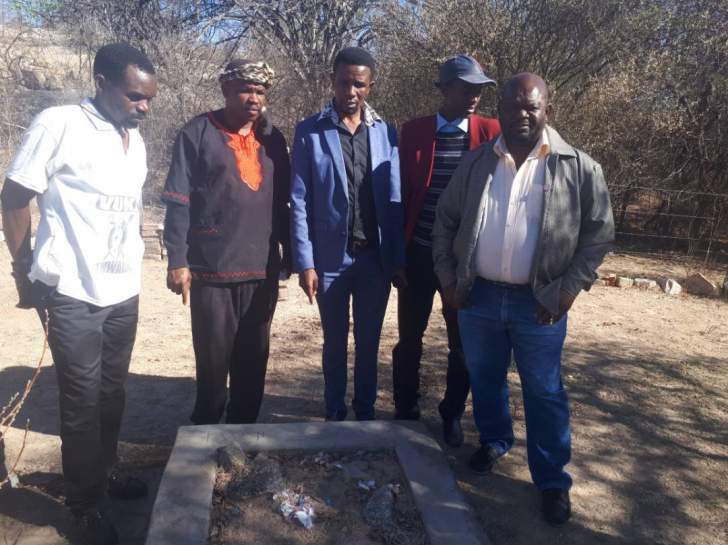 The three freedom fighters Shoko Dube, Mguni and one unnamed, burried in the shrine were put there to conceal and divert attention from the mass graves. It is ironic that the names of the heroes of the struggle are visible, while those of the victims have been removed. The removal of the Mass graves inscription and the erection of the tomb of the unknown soldier might have been done during the heroes holiday in August because on the month of July the president led a team which comprised of a Spanish journalist to the site and the tombstone of the unkown soldier was not there and the inscription "Mass grave was visible on the graves. It all started with the removal of the names of the victims burried at Bhalagwe and now they are eradicating all the traces of their heinous evil. We will fight this traverse of justice for the victims of Gukurahundi. We demand that those names must be returned as an act of remorse and solace to the families and relatives of the victims. The perpetrators of the genocide are surely on a mission and are not relenting in burying the truths on Gukurahundi. Hands off our fathers and mothers and allow them to sleep in peace. They can not be tormented while living and when dead.